We cover a range of topics in the wellness space; from the use of incentives in corporate wellness programs, safety programs, Medicaid and Medicare compliance, healthy reward options, and more. Read the recap from our recent webinar, Incentivizing Behavior Change: Improving Connected Health Outcomes. Companies report a 79% success rate in achieving their goals when the right rewards are offered. Learn about the best practices for using incentives in wellness from the most successful programs in the country. 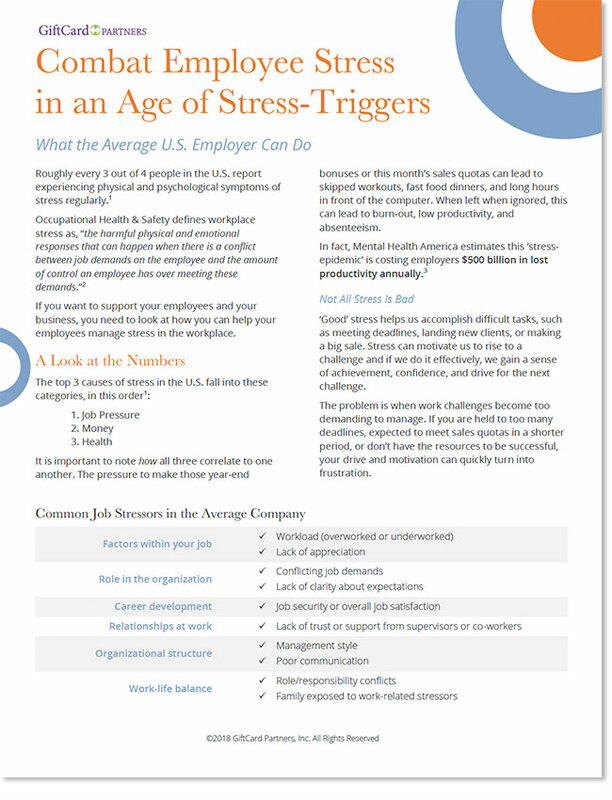 Learn more about common stress triggers in your office and the steps you can take to combat those situations, preventing lost productivity and absenteeism. 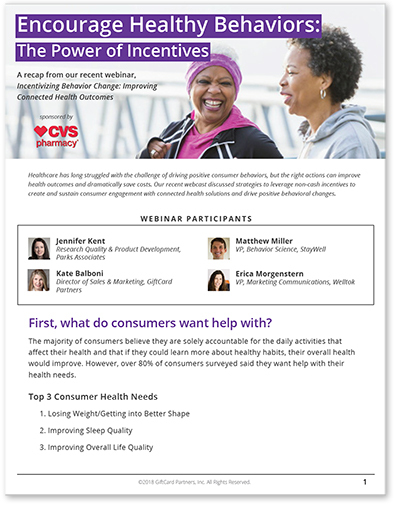 Read the notes from our webinar, Using Effective Incentives for Wellness Engagement. 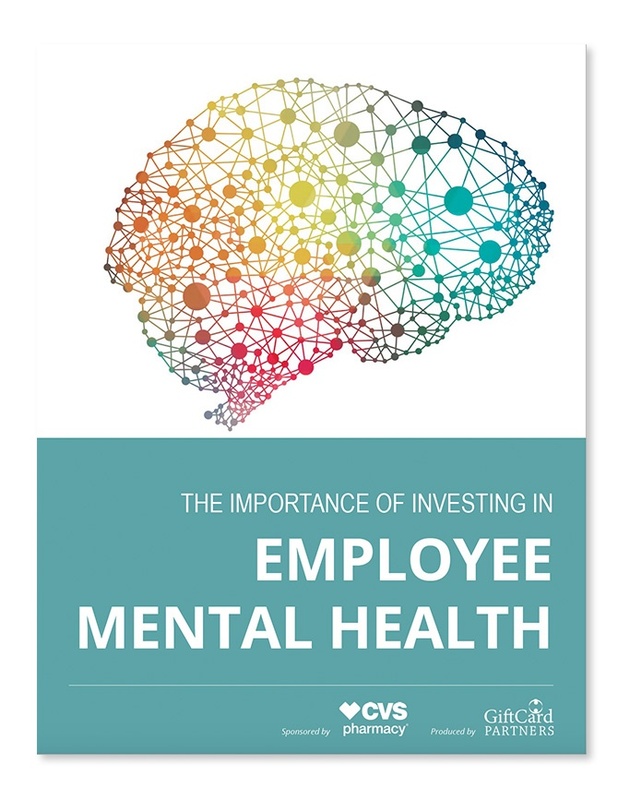 Learn more about mental health trends in the US and what employers are saying and doing about the issue. 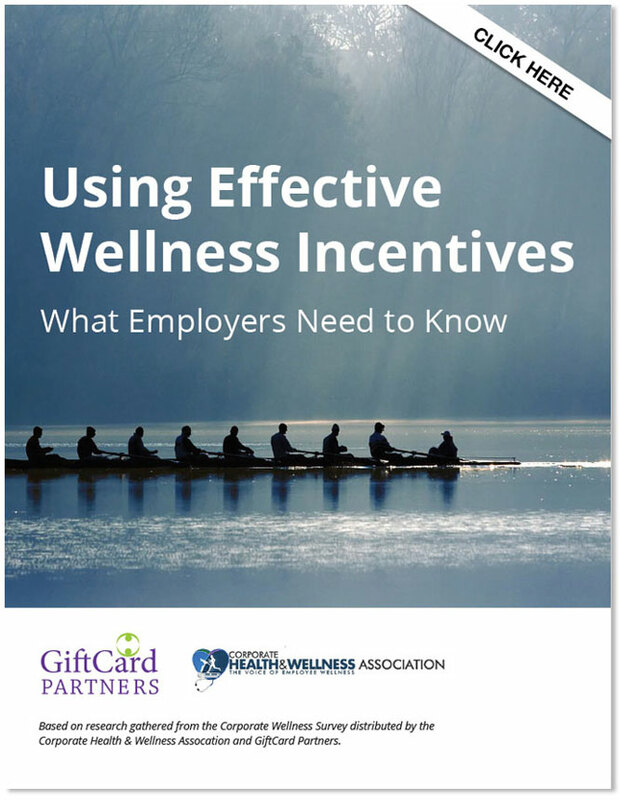 Employers, find out what using incentives effectively in your corporate wellness programs looks like. Tangible rewards provided in safety incentive programs help increase engagement and productivity levels. Nearly 20% of patients are readmitted into the hospital in the first 30 days, learn how incentives can be used to reduce that rate. Motivate your employees to take action through health screenings. Learn more about the benefits of corporate wellness programs, statistics, and gift cards role in the whole thing. Dive deep into the world of corporate wellness; the history, frequently asked questions and more. See how incentives have become an integral part of driving engagement in health and wellness. Join industry experts as they discuss the who, what, where, when and why of successful incentive program offerings, survey results, industry insights, and more. 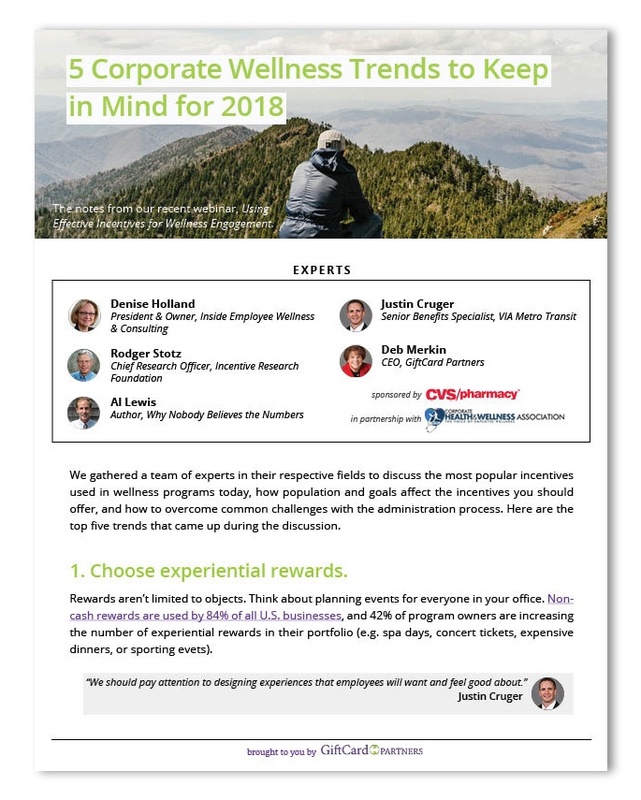 Explore the shift toward corporate wellness programs and the challenges employers face when engaging their populations through various incentive and reward programs. Optimize a successful wellness rewards program, keep employees engaged once participating, and learn about tax implementation based on the Affordable Care Act, and more. Healthcare reform has lasting effects on corporate wellness, the use of incentives, and the implementation of new incentive strategies to engage employees. The passage of PPACA generated more opportunities to get creative with corporate wellness programs; but do you understand the risks? Communication is the key to developing a corporate wellness program that is not only within legal guidelines but also engages employees and keeps them fully on board. Getting employees motivated and engaged in wellness programs can benefit .